I truly enjoy being a vital member of St. Theresa School. Nursing to me is not only a job but a passion. I began my career in nursing 35 years ago. Much of that experience was spent as a NICU and pediatric ICU nurse. I recently went back to earn my BSN in 2015. 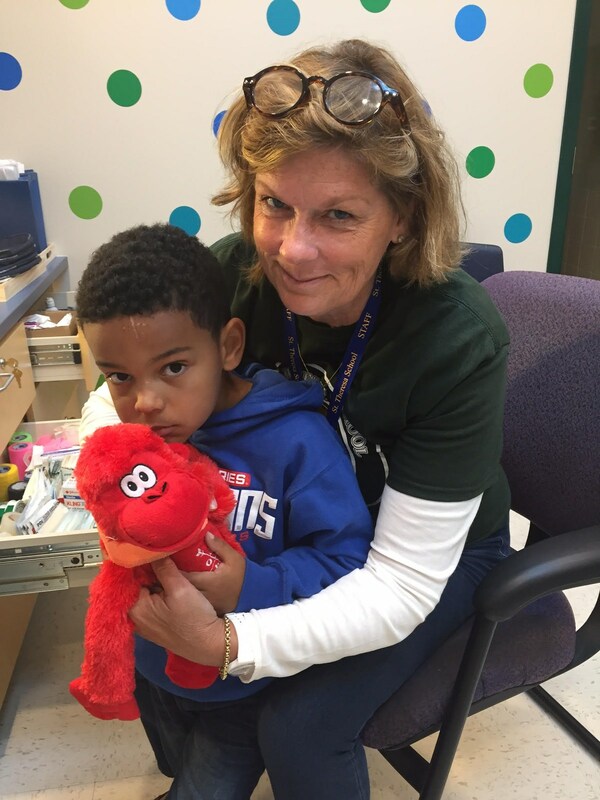 As the school nurse, I try to help children feel comfortable and safe, especially when they are not feeling well. Communication with parents is an important part of my job managing and maintaining accurate medical files for each of our students. In my spare time, I love spending time at our lake cottage with my husband, amazing three adult children and friends. Medical forms are available below. ALL new students require an Illinois Physical and immunization record dated after April 1, 2018. The current immunization list is provided below. Preschool, Kindergarten and 6th Grade - students need an Illinois Physical dated after April 1, 2018. Grade 6 – students are required to have a Meningococcal Vaccination (MPSV4 or MCV4) and a TdAp booster. Kindergarten, Grades 2 & 6 – students need a Dental Exam dated after April 1, 2018. Kindergarten – students need an eye exam by an Optometrist or Ophthalmologist dated after April 1, 2018. Please note, the STS Medication Policy is located in the Parent & Student Handbook on our website. Please use this reference for questions concerning your child and taking medications at school, or contact the nurse’s office.